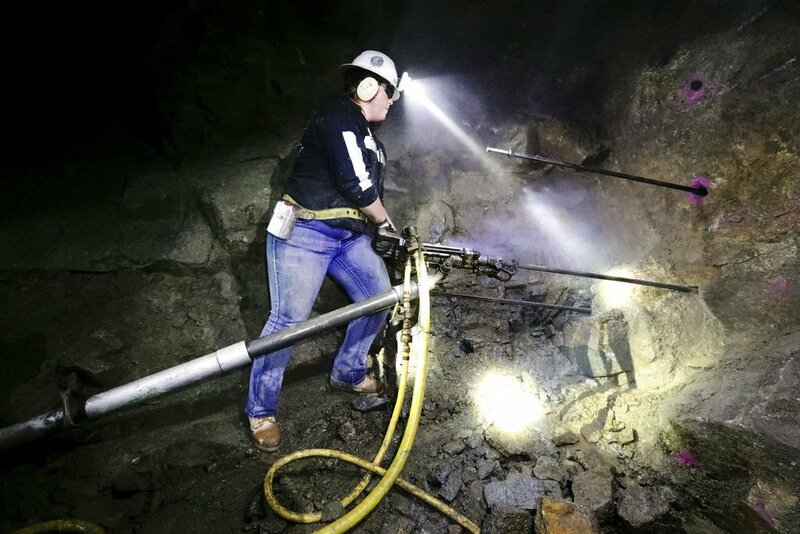 In this Nov. 28 photo, Tech student Shayna Burgess drills into rock in a tunnel located in the Orphan Boy mine during the mining engineering class at Montana Tech in Butte, Mont. 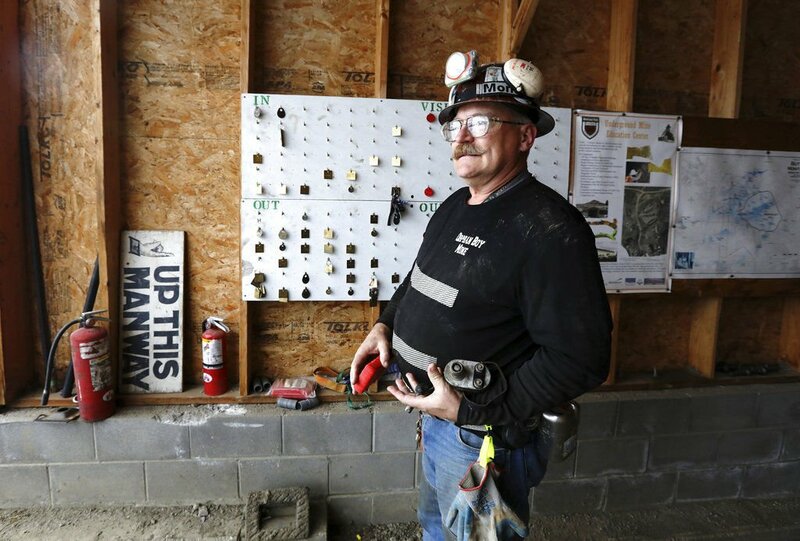 Scott Rosenthal, assistant professor and head Anaconda professor of mining engineering, stands at the entrance of the Orphan Boy mine in Butte, Mont., during a mining engineering class on Nov. 28. BUTTE, Mont. (AP) —On a recent Wednesday afternoon, two men hopped out of the Bobcat ATV they’d parked on the western edge of Montana Tech’s campus. The men adjusted their work belts and hard hats then walked through the entrance of what looked like a garage or large storage shed. In one work area, students drilled large, nail-like rock bolts feet deep into the granite to form a Roman arch above them. In another, one woman in bedazzled Miss Me jeans maneuvered one of the compressed air-powered drills to carve out numerous holes in a strategic pattern.